Dell XPS 15 9570 at first did not recognise Samsung 970 Pro NVMe SSD. Now solved. I have just solved the problem with my Samsung 970 Pro NVMe SSD on my brand new DELL XPS 15 9570. I spent entire day troubleshooting and read many forum postings and blogs written by others about the issue. It seems many people are actually having trouble with this problem, so I thought I would write about to help everyone. From various forum posts I got few clues but honestly I did not find any solution on the internet. So, I wanted to write about it and help everyone. Before jumping to conclusion let me tell a little about my brand new Dell laptop. There are actually few other issues I would like to highlight, I think these are really important for anyone planning to buy this laptop. Yesterday I received my DELL XPS 15 9570 which I bought on ebay. I had been fascinated with this powerhouse for so long and I had watched countless reviews on Youtube. There are so many unpacking and review guys with thousands of followers. I am quite surprised that they did not mention some of the problems I am having with my Dell XPS 9570. May be they are reviewing every single laptop or gadget and not really digging into details like real person who would use the machine. When I got my laptop the SSD mode in Bios was set to RAID. I read on one of the forums that it was the problem. The other modes are ACHI and Disable. To detect NVMe drive the SSD has to be on ACHI mode. The problem is when you switch to ACHI mode the Windows would not start. You can go to Bios and change it back to RAID mode and it would work fine again. But, NVMe to be detected you need to be on ACHI mode. I tried many approaches and only one worked for me. I tried to set Windows 10 to restart in Safe Mode and prior to starting I tried to switch SSD mode on Bios to ACHI but it didnt work. What worked for me was creating a recovery disk on my pen drive and reinstalling the Windows 10, of cause it erases everything but you do not have to enter windows serial key or active it as Windows was initially activated when I made recovery disk. I was on RAID mode and created my recovery disk on pendrive. Then restarted the system, entered to Bios and changed SSD mode to ACHI and changed the boot sequence to detect USB first. Then I inserted the pendrive which had recovery disk and rebooted the laptop. It detected USB flash drive and allowed me to reinstall Windows. I was little skeptical at first as it did not ask me the location for Windows installation but I kept giving OK for the install wizard. Once installation was complete it automatically adjusted the boot sequence and I found Windows was installed to C drive as I wanted. 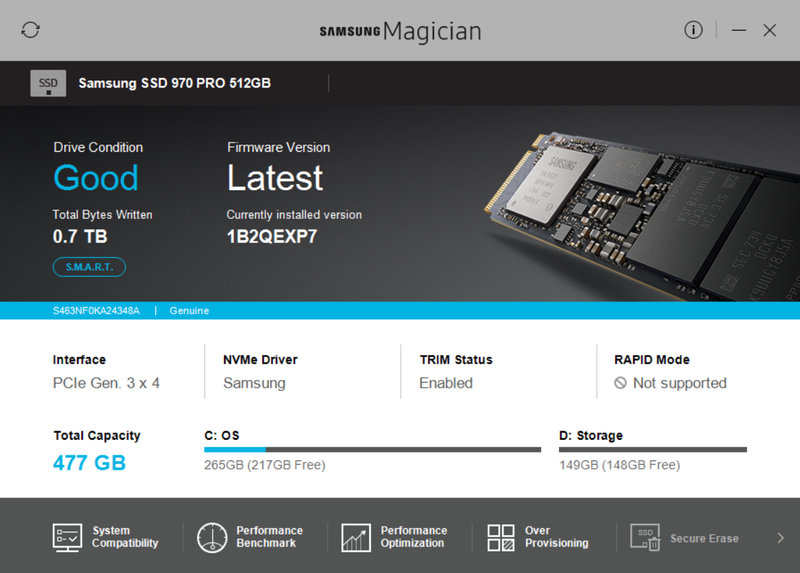 Then I installed Samsung Magician software and it detected the new 970 Pro SSD. But I still installed its driver to ensure I get full advantage in terms of speed and durability. Prior to fixing this Samsung 970 Pro SSD problem I had my SSD mode on RAID. 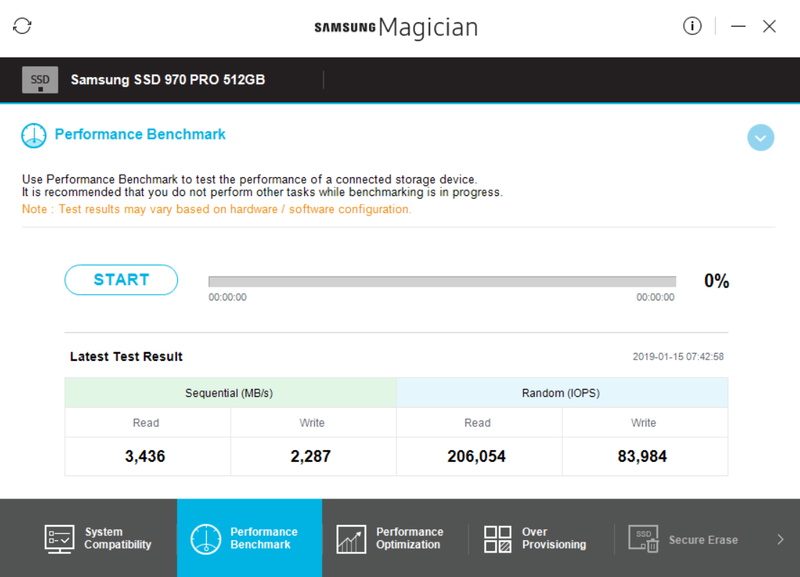 On that mode the Samsung Magician software did not detect NVMe SSD but when I ran benchmark it showed pretty impressive results almost matching the real speed of my NVMe SSD even though it said it did not detect it. I read on a forum that Microsoft uses their drivers when it is on RAID mode and actually brings up the real performance of NVMe SSD even though Magician software fails to detect it. Since the Magician software benchmark shows high speed it convinces me to believe that SSD is active as NVMe. But, after switching to ACHI and reinstalling Windows 10 the beachmark shows a little higher performance. I do not remember the exact numbers but I guess at first it was something around 2500 mbps and after fully switching to Samsung NVMe I got 3436 mbps read speed. I am not sure it would work the same for you but I feel the work is worth the effort. I actually spent entire day troubleshooting only on this. If you do not want to reinstall Windows and other softwares you would still get very decent speed on RAID mode. But for the whole purpose of investing so much money on Samsung super fast 970 Pro was to get ultimate speed, so I refused to give up. At the end I managed to get it done. Now, let’s talk about the other issues I am having with this new super expensive highend powerhouse. This blog is actually my first post typing on new laptop. The biggest problem I am having with this brand new Dell XPS 15 9570 is the space bar. While I was typing this post at least 20 space bar presses were not registered by the system, I had to press harder and the space bar works. As a content creator this problem is really annoying. But, I do not want to return my laptop. I hope I would get used to the problem and after few days I may be able to adjust. I worked on a Lenovo U410 for about 8 years, it did not have any weird issues like this but I really love the key strokes of Dell XPS 15 9570 except for the space bar of cause. I have i7 8750H processor and 16GB RAM on my system, it is super fast with its 6 cores, I am absolutely satisfied in terms of speed, design and aesthetics. The fingerprint reader works like magic, always on the fly. When the laptop had its original NVMe SSD the left side of the keyboard was little bit hot and I felt uncomfortable. After replacing it with Samsung NVMe 970 Pro I no longer have this issue. There was a thermal pad inside to cool the SSD and I did not put any additional thermal pad or heatsink, just kept the original thermal pad. Another minor issued I noticed on my brand new DELL XPS 15 laptop was screen problem at the time of booting. When the screen is totally black you could see some white faded light near the bottom bezel. After loading Windows 10 Pro I do not see any sign of this problem. I put a totally black image which I created on Ms Paint and checked the bottom border and I could not see any issue on Windows 10 Pro. It may be some kind of LED light or sort of thing turning on at booting, just guessing. Now my first blog post with DELL XPS 15 9570 is coming to an end and I can already see an improvement in myself getting adjusted to this weird space bar issue. If I really don’t get adjusted then I will have to buy a separate bluetooth keyboard which would be troublesome but I can’t throw away $2000 for just one key not working perfectly. Otherwise, I hope after hitting space bar over and over in the coming days the bar will fix itself. Actually the screen issue at booting is not even worth mentioning. But, the space bar is really annoying at this point. I don’t know if there would be any hack to fix this, I am not even confident to play around with mechanical functions. But, I will research on Google and see if there is any solution. I initially did not notice the faulty space bar and fully intended to write this post all about fixing the NVMe SSD detection issue. If any of you have a solution kindly let me know in the comments. It seems spacebar problem is bigger than NVMe issue and I really had to vent out my frustration on this blog. After concluding the post I came back to give you an update on my findings about the faulty spacebar. When you press the upper edge of the spacebar it does not work most of the time, vertical middle and bottom edge works. So, I am thinking the button trigger is not getting pressed when you hit upper edge. This looks like a design fault. The trigger may be slightly smaller than the spacebar, so when the upper edge is pressed the trigger is still not pressed down. I can’t think of any solution for this at this point and it is really frustrating. I hope Dell would do something. Also the height of spacebar (not the elevation in terms of key travel) and other letters on the bottom row is bigger. So, if the trigger is of the same size for all the letters this explains the exact design fault in the keyboard. I hope my fingers are merciful for Dell, there is no other hope as a fix.